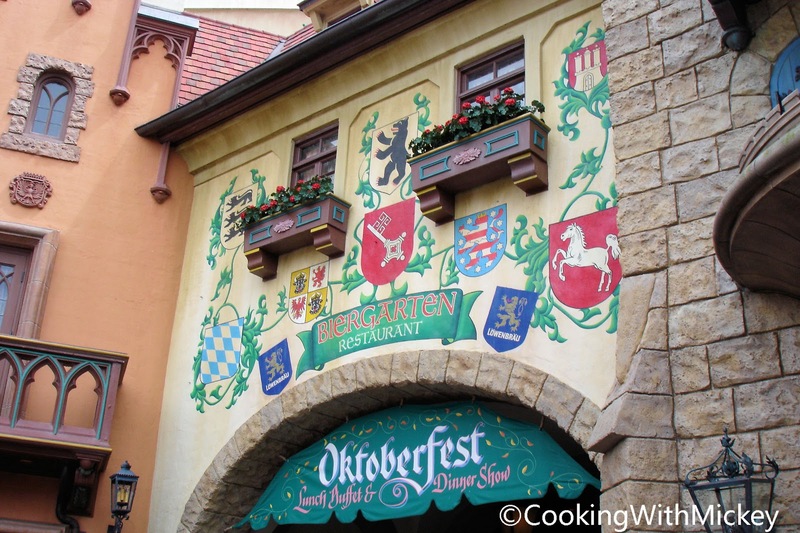 This traditional German dish can be found at Biergarten Restaurant in the Germany Pavilion at Epcot. Sauerbraten is one of the national dishes of Germany. It is usually of beef, but other meats such as venison, lamb, mutton, and pork are sometime used, marinated before cooking. Traditionally served with red cabbage, potato dumplings (Kartoffelklöße), and Spätzle. Many German-style restaurants in America pair it with potato pancakes, this is only done in a small part of Germany. Combine all of the ingredients except the beef. Add the beef eye round, and let marinade for at least 4-5 days. Heat sauerbraten drippings, sauerbraten marinade, and demi-glaze to a simmer. Let simmer for about 30 minutes. Mix together the ginger snap cookies and burgundy wine in a separate container. Add this to the demi-glace mixture. If the sauce is too thin add enough roux to thicken. Braise the marinated eye rounds of beef. Sauté until all sides have been browned. Place in a roasting pan. Place half sauerbraten marinade and half demi-glace in the pan to cover 3/4 of the browned eye rounds of beef. Place in a 375 degree oven. The sauerbraten can be removed from the oven when the meat is tender by the feel of a meat fork. Approximately 3-4 hours. NOTE: Reserve the liquid from the eye rounds. This will be used for the sauerbraten sauce. The sauerbraten eye rounds can be cooked the day before. Slice the cooked sauerbraten, and place in a pan. Ladle the sauerbraten sauce over the cooked sauerbraten and reheat in a 350 degree oven for approximately 30-45 minutes.